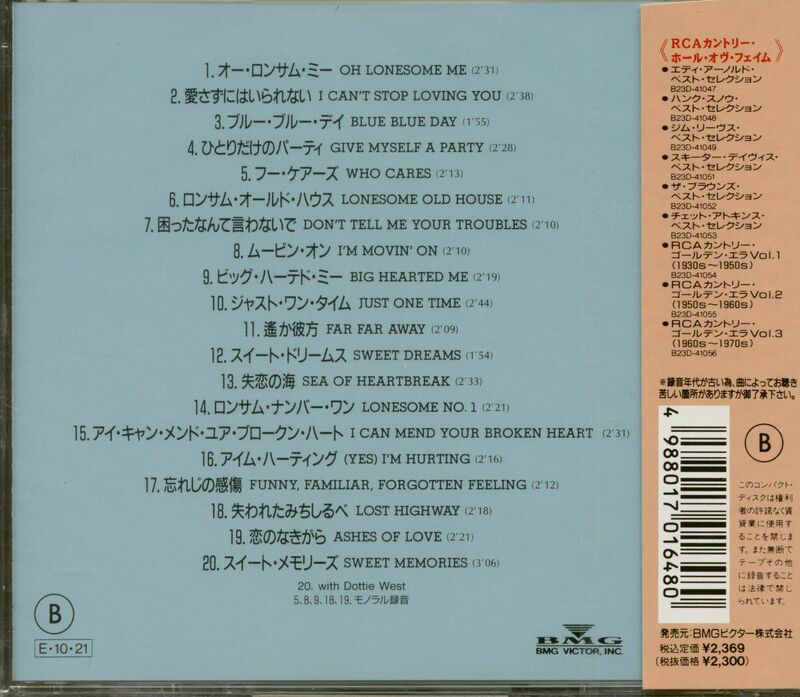 (BMG Victor Inc. Japan) 20 Tracks - originally sealed with obi. As a singer, songwriter, and instrumentalist, Don Gibson has been a major force in country and pop music for over three decades now. His song catalogue includes some 150 or so 'working songs' - songs, that are continually recorded and performed by everybody from Ricky Skaggs to Ray Charles. His discography numbers over 500 items, and includes sidemen as diverse as jazz guitarist Johnny Smith, piano stylist Floyd Cramer, bluegrass banjoist Hubert Davis, and Brazilian guitarists Los Indios Tabajaras. His single releases first appeared on the hit charts in 1957, and continued to roost there through the 1970s. But the golden age of Don Gibson's career was the time from 1957 to 1966, a decade which saw a vertiable explosion of creativity. Every month, it seemed, saw innovative new songs and strong, exciting recordings, double-sided chart hits and crossover pop hits, efforts that literally changed the very landscape of country music. This is the era celebrated on the present collection, the Compact Disc retrospective of the Gibson sound. When Don Gibson signed on with RCA Victor in 1957, he was already a veteran of ten years in the music business. Born Donald Eugene Gibson in 1932 in Shelby, North Carolina, Don Gibson started playing music with some pool-hall buddies when he was sixteen. Soon he was working with a radio band called 'The Sons Of The Soil,' and in 1949 made his first records with them on the old Mercury label. By 1950 he had formed his own band - the King Cotton Kinfolks - and was playing out of Shelby on a radio network of 25 southeastern stations. More recordings helped him land a job on Knoxville's powerful station WNOX, where he gradually worked his way up to a featured role on 'The Tennessee Barn Dance' and the 'Mid-Day Merry Go-Round'. 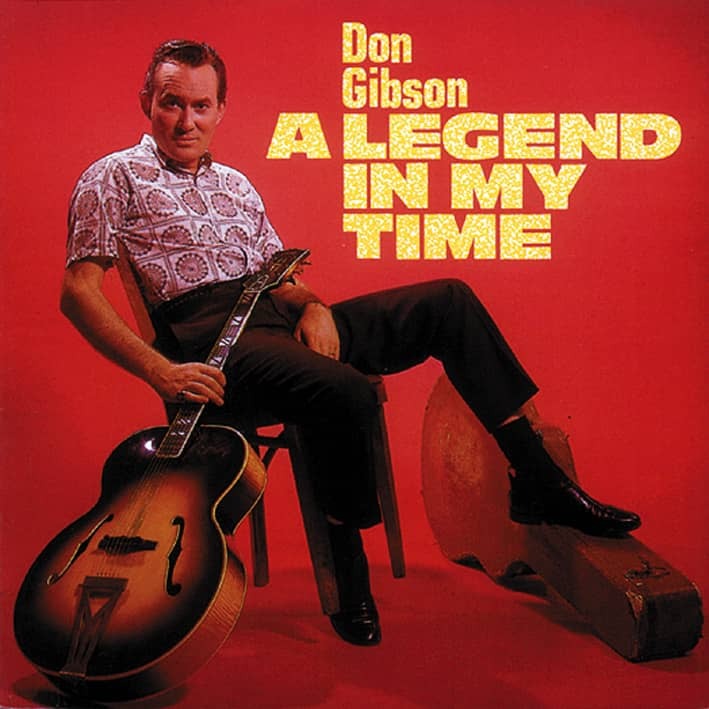 By the mid-fifties, Don Gibson's music was centered around his singing - warm, smooth Red Foley like baritone - and his sophisticated rhythm guitar playing. [He was, and is, a devotee of jazz guitar legend Django Reinhardt.] The summer of 1955 he decided to add songwriting to his resume. He had tried an occasional song before - in fact, Hank Snow had recorded an early effort - and now he found himself working on one called Sweet Dreams. It was a simple song, but with a haunting melody, and he began featuring it at a local Knoxville club called Esslinger's; it was there that Nashville publisher Wesley Rose heard Don Gibson sing the song, signed him to a songwriting contract with Accuff-Rose, and a record contract with MGM. Rose also got Sweet Dreams to Faron Young, who had a big hit with it in the summer of 1956. Don Gibson's MGM sides, on the other hand, were having little success, and this encourraged him to try to write more songs. It was a good move. One afternoon in June of 1957, while he was living in a trailer back up in the woods of Knoxville, feeling down and out, he tried his hand at doing a lost love ballad. He sang into the tape recorder the words, I Can't Stop Loving You, and said to himself, "That would make a good title." He soon finished that song, then started on another one which he would end up calling Old Lonesome Me. When he sent the tape to Acuff-Rose to be transcribed and copyrighted, a staff copyist misunderstood the title, and wrote it as Oh Lonesome Me. "It was the kind of a day I could use a few more of." 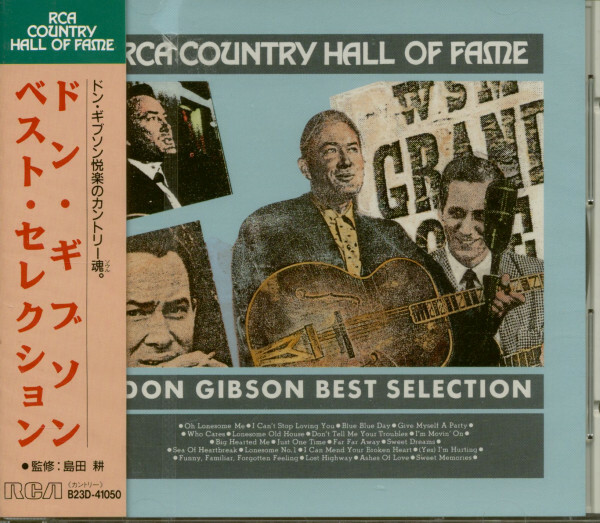 recalls Don Gibson; he had just composed two of the most popular songs in country music history. The songs came at a turning point in his recording career as well. After signing with RCA Victor in January of 1957, he and producer Chet Atkins had tried one session in the traditional country style of Don Gibson's earlier records: fiddle, steel guitar, Hank Williams-sounding songs. Atkins came to Don Gibson and said, "Don, they're not selling. Let's try one more thing. Let's put voices behind it and get rid of the fiddle and steel guitar." A June session had yielded Blue Blue Day done in this new style, and when Chet heard Oh Lonesome Me, he decided to try this as well with the more modern backing. Backed only by rhythm guitar, bass, Floyd Cramer's piano, and Knoxville drummer Troy Hatcher's jazz-like drumming, Don Gibson cut his classic of Oh Lonesome Me and I Can't Stop Loving You on the same afternoon of a chilly December day in 1957. It was released at once, hit the charts in February, and remained a double-sided hit for over 30 weeks. It established Don Gibson's ability as a songwriter and as a recording star, and its clean, spare sound helped establish the so-called 'Nashville Sound' as a new style in country music. This album contains the original versions of these first Gibson hits as well as some of the many that followed it: Look Who's Blue and Give Myself A Party, another two-sided back-to-back hit from 1958; Sweet Dreams, Don Gibson's second recording of this classic, which became a hit in 1960; Sea Of Heartbreak, his third biggest hit, from 1961; Lonesome Number One, a number two hit from 1961; I Can Mend Your Broken Heart, which spent four months as a hit in 1962; and A Legend In My Time, heard in Don Gibson's original 1960 version. A Legend In My Time never charted for Don Gibson, but he continued to think it was one of the best songs he had ever written; his confidence was validated years later when Ronnie Milsap found it and made it into one of his biggest hits. There also some Gibson rarities here. Sittin' Here Cryin' was the B side of a single from Don Gibson's first 'pure country' February 1957 session. Sweet Sweet Girl, an attempted follow-up to Blue Blue Day, was a gem that was first issued on an obscure 45rpm EP album, while If You Don't Know It was never issued as a single at all, but was used as filler on Don's first RCA LP in 1958. I Sat Back And Let It Happen, a 1961 side, was never issued by RCA, and has appeared only on BFX 15089 - Rockin' Rollin' Don Gibson. And rarest of all, four sides heard here have never been issued in any form whatsoever before, and appear here for the first time. These are I'm Crying Inside , If You Knew Me , If You Don't Know The Sorrow  and Think Of Me . They are prime Gibson, and they serve to remind us of how rich and varied the Gibson legacy is. 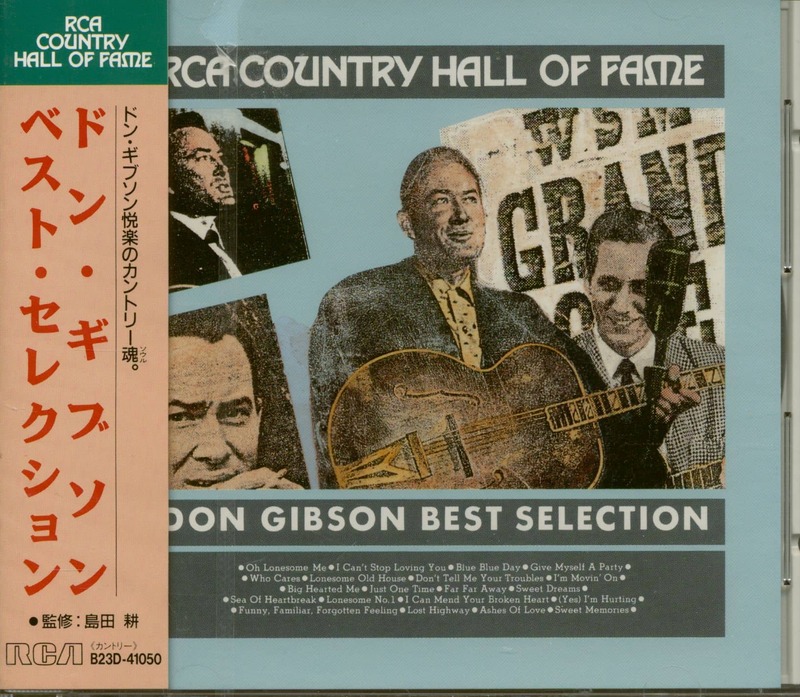 Customer evaluation for "Best Selection - RCA Country Hall Of Fame (CD, Japan)"